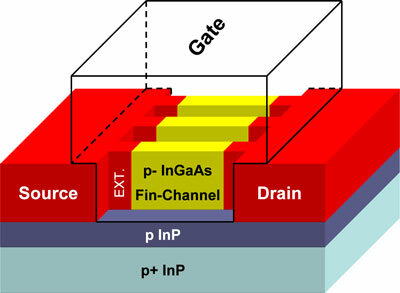 Purdue University researchers are making progress in developing a new type of transistor that uses a finlike structure instead of the conventional flat design, possibly enabling engineers to create faster and more compact circuits and computer chips. 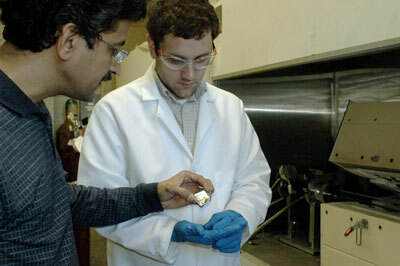 Clemson University is part of a five-year $3 million Air Force Office of Scientific Research award, along with the University of Texas at Dallas and Yale University, to search for nanoscale materials that superconduct to allow for efficient flow of a current. ITRI (Industrial Technology Research Institute), Taiwan's largest and one of the world's leading high-tech research and development institutions, introduces STOBA (self-terminated oligomers with hyper-branched architecture), the first material technology to enhance the safety of lithium-ion (Li-ion) batteries. 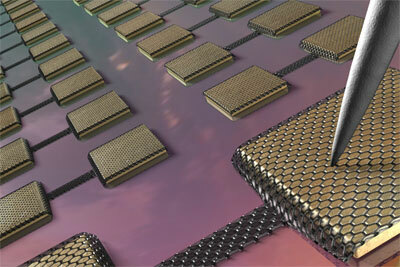 n work that someday may lead to the development of novel types of nanoscale electronic devices, an interdisciplinary team of researchers at the California Institute of Technology (Caltech) has combined DNA's talent for self-assembly with the remarkable electronic properties of carbon nanotubes, thereby suggesting a solution to the long-standing problem of organizing carbon nanotubes into nanoscale electronic circuits. These reports were published as part of the Nanotechnology Occupational Health and Safety (OHS) Program, which is managed by Safe Work Australia for the Department of Innovation, Industry, Science and Research. With the support of a $2.7 million Recovery Act grant from the National Institute of Drug Abuse (NIDA) an interdisciplinary team headed by Vanderbilt chemist John McLean and physicist John Wikswo will attempt to determine whether an individual's white blood cells retain chemical memories of exposure to drugs like cocaine and alcohol that can be read reliably and unambiguously. 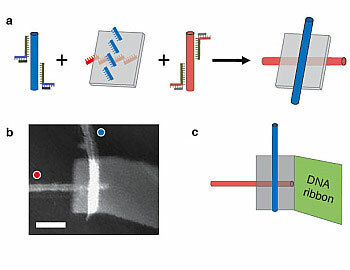 Researchers at the McCormick School of Engineering and Applied Science at Northwestern University have developed, characterized, and modeled a new kind of probe used in atomic force microscopy (AFM), which images, measures, and manipulates matter at the nanoscale. Two European consumer organisations - the European Consumers' Organisation (BEUC) and the European consumer voice in standardisation (ANEC) - have jointly launched a first stab at a nanotechnology inventory to tell consumers which products on the EU market contain nanomaterials. The Advisory Committee on Hazardous Substances to the United Kingdom's Department of Environment, Food and Rural Affairs (Defra), in a 'Report on Nanosilver' has recommended to British government agencies that they gather information about products containing nanosilver, saying that the information on both the hazards of and exposure to nanosilver is urgently required. Oeffentliche Ausschreibung eines Auftrags der Bundesanstalt fuer Arbeitsschutz und Arbeitsmedizin im Rahmen von Fremdforschung. 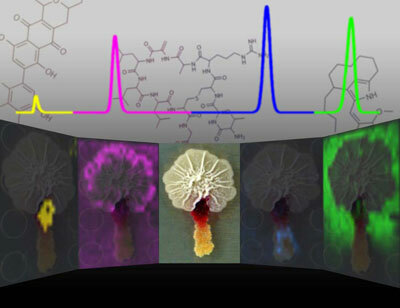 A recently devised method of imaging the chemical communication and warfare between microorganisms could lead to new antibiotics, antifungal, antiviral and anti-cancer drugs, said a Texas AgriLife Research scientist. University of Sydney researchers Dr Tim Schmidt and Professor Max Crossley have come up with an ingenious low-cost device to harvest low energy photons, with the potential of significantly boosting the efficiency of conventional solar cells using a process called upconversion. A Cornell research team has invented a simple way to make graphene electrical devices by growing the graphene directly onto a silicon wafer. According to a recent report by the National Research Council of the National Academy of Sciences, the United States, once the world leader in the discovery and growth of crystalline materials, is now falling behind other nations. The catalytic processes that facilitate the production of many chemicals and fuels could become much more environmentally friendly thanks to a breakthrough achieved by researchers from Lehigh and Rice Universities.